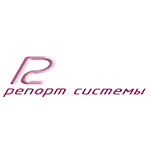 Report Systems is a Russian company in business since 2009. The key company activities are connected with the development and manufacture of GPS/GLONASS vehicle tracking and control hardware. The company offers off-the-shelf solutions and is engaged in individual projects development for customer needs. The chart below shows the changes within the last 30 days in the number units of Report System devices type are connected to Wialon Data Center.